Thailand's opposition, consisting of Thaksin Shinawatra's political party, Pheu Thai (PTP), his violent street front, the United Front for Democracy Against Dictatorship (UDD or red shirts) and a collection of US State Department funded organisations posing as nongovernmental organisations (NGOs), "student groups" and "media platforms" have been essentially flushed out for what the majority of Thais have known they were all along — negative, petty malcontents, green with envy of accomplishments they find easier to either dismiss or criticise, rather than add their own tangible contributions to. Their jealousy, envy, even hatred for Thailand's late King Bhumibol Adulyadej and his accomplishments have manifested themselves in a tiresome tirade of complaining, mockery, lies, staged provocations and childish ranting regarding the vast majority of Thailand's dignified and universal mourning for their late king. 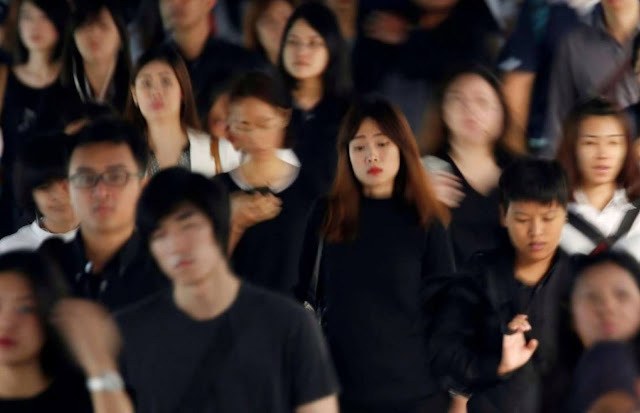 Thailand's population of 70 million has wisely chosen to ignore this tiny, malicious minority of malcontents and it is important that Thais continue to rise above them and their negativity. Yet, one cannot help but marvel at the depth of negativity this minuscule minority harbours deep within, and of course, articulates in each and every word they've muttered since October 13. Excessive and incessant praise and veneration, growing rituals of worship will likely elevate the late King into a demi-god and produce a King-worship cult, and a climate where the only thing one could possibly say about the late King is how great he was and how much you loved him. 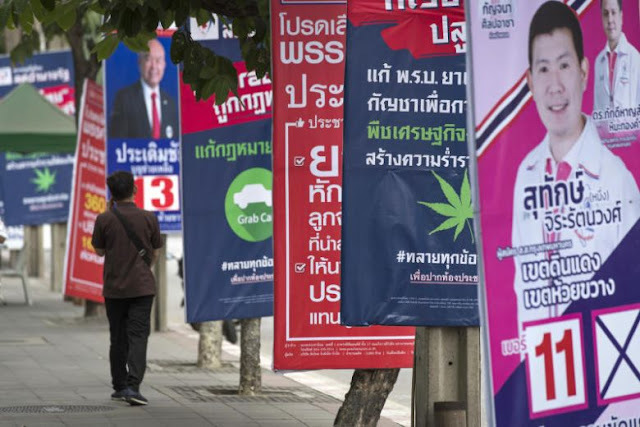 What will this mean for Thailand in the long run? I can’t help but wonder. The question malcontents like this staff writer never seem to consider is whether or not it might just be possible King Bhumibol Adulyadej actually deserves to be elevated in such a fashion or what possible benefit for Thailand in the "long run" is gained by criticising a man who dedicated his entire public life in service to his country. King Bhumibol Adulyadej spent a lifetime working for the Thai nation, transforming it from being underdeveloped, fraying at its edges due to regional conflict and increasingly being drawn into a corrupt and unsustainable trend toward globalisation, into a stronger, more self-sufficient, developed and unified nation. His Royal Projects helped turn poppy plantations in the nation's previously troubled north into fruit and vegetable farms. 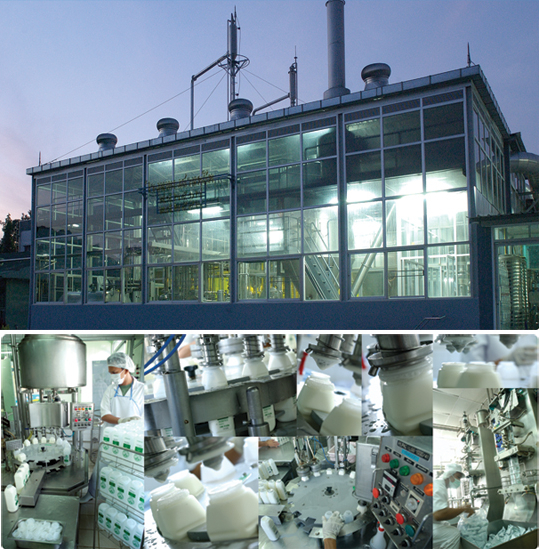 His Doi Kham factories would provide a source of income, education and opportunity for thousands of farmers, beginning in 1982 and continuing to this very day with its products found on the shelves of Thai vendors and merchants from north to south, east to west and even beyond Thailand's borders. Chiang Rai and Chiang Mai in particular, went from teetering at the edge of a narco-terrorist abyss, to a thriving centre of agriculture and industry. He pushed forward irrigation projects nationwide that shortsighted politicians would never have focused on, initiating some of them himself with his own resources. 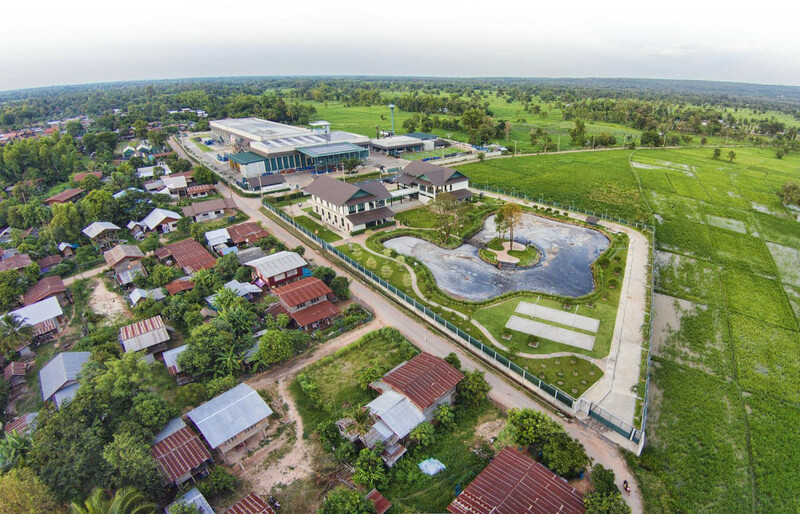 These projects now form a massive national network that produces renewable hydroelectric energy, controls flooding and provides more reliable irrigation for millions of farmers turning Thailand into a regional leader in agriculture. His Chitralada palace in Bangkok was converted decades ago into an agricultural research, processing, training and demonstration campus, with rice mills, aquaculture ponds, rice fields, processing factories and even facilities for researching and demonstrating alternative energy. Similar demonstration projects can be found across other provinces, nationwide. Admission is free. Training is free. There are also hundreds, perhaps thousands of smaller networks created by Thais from all walks of life emulating King Bhumibol Adulyadej's example. These include networks dedicated to diverse organic agriculture, alternative energy, value-added processing and even incorporating technology into economic and educational activities. Likely, these networks will surge this year as part of the mourning process, and continue growing well into the future. Likely, these networks will surge this year as part of the mourning process, and continue growing well into the future. People have gone from dangerously precarious monoculture and cash cropping, to pursuing a strategy of economic diversity based on King Bhumibol Adulyadej's principles of sustainability and self-sufficiency that has allowed them to survive and even thrive amid sometimes turbulent global financial markets as well as political mismanagement of domestic markets, including the more recent 2011-2014 rice programme initiated by Shinawatra's PTP that left nearly a million rice farmers unpaid and the entire Thai rice market in shambles, even to this day. Khaosod's staff writer no sooner dismissed the genuine sorrow of millions of Thais as mere aspects of a "cult of personality," before immediately adding bricks to what truly is an undeserving and artificial cult of personality, that around the Shinawatra family. He would quickly scribble off an article titled, "Yingluck Sells Rice at Bangkok Mall as Prices Falling," attempting to portray Shinawatra's shallow, meaningless efforts as a heroic contribution to the ongoing crisis Thailand's rice markets are suffering. Khaosod strategically omits in its article, however, that rice markets are struggling precisely because of Ms. Shinawatra's own disastrous rice subsidy programme rolled out as a vote-buying scheme in 2011 or the fact that Ms. Shinawatra is now attempting to circumvent legal rulings demanding her to pay out of her own personal fortune for the disastrous effects of the policy. A billionaire who will never get her feet wet or hands dirty helping others, or even take responsibility for her own misdeeds. Ms. Shinawatra is a billionaire, among a family of billionaires. The Shinawatras own entire skyscrapers dotting Bangkok's skyline. They could easily create factories, mills, training centres and alternative economic opportunities for the millions of farmers now suffering because of the 2011 rice programme. 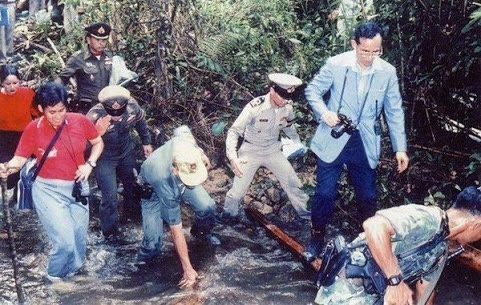 They could, and at times they have tried to ape the work of King Bhumibol Adulyadej, but always as a transparent stunt to tap the benefits of doing so without soiling their hands with the actual substance of such a commitment. ...at times they [the Shinawatras] have tried to ape the work of King Bhumibol Adulyadej, but always as a transparent stunt to tap the benefits of doing so without soiling their hands with the actual substance of such a commitment. Earning real respect is difficult. It takes a lifetime of hard work to accomplish. King Bhumibol Adulyadej spent his life working to earn it. When he ascended to the throne so many decades ago, it might have been true to say that Thais respected Bhumibol Adulyadej because he was their king. Today, looking back at the way his reign transformed Thailand, it is abundantly clear that Thais now respect their late king because he was Bhumibol Adulyadej. It is a difficult time for Thais who mourn their incredible king. And evidently, it is also a difficult time for the late king's critics who mourn shattered egos amid the realisation that they are nobodies, doing nothing and will never achieve the recognition their hungry egos demand but their lack of talent and heart can never feed. The New Atlas is a media platform providing geopolitical analysis and op-eds. Follow us on Facebook and Twitter. Are Claims the US is Sabotaging Venezuela's Economy Far Fetched?